I came home from the farmer’s market yesterday with 20 pounds of Gala apples (insert Homer Simpson “Woo Hoo!” here). My dilemma is, I can’t decide whether I should make them into sauce, or try to store them for eating later on (we go through a lot of apples in this house). While mulling that over, I used a few of them to make a delicious German Apple Pancake for breakfast this morning. It’s a family favorite and a comforting cool weather treat. Preheat oven to 450 degrees. Brush melted butter into a 10 inch oven proof pan; sprinkle with granulated sugar. Melt butter in a (preferably cast iron) frying pan. Add apples, cinnamon, lemon juice and brown sugar. 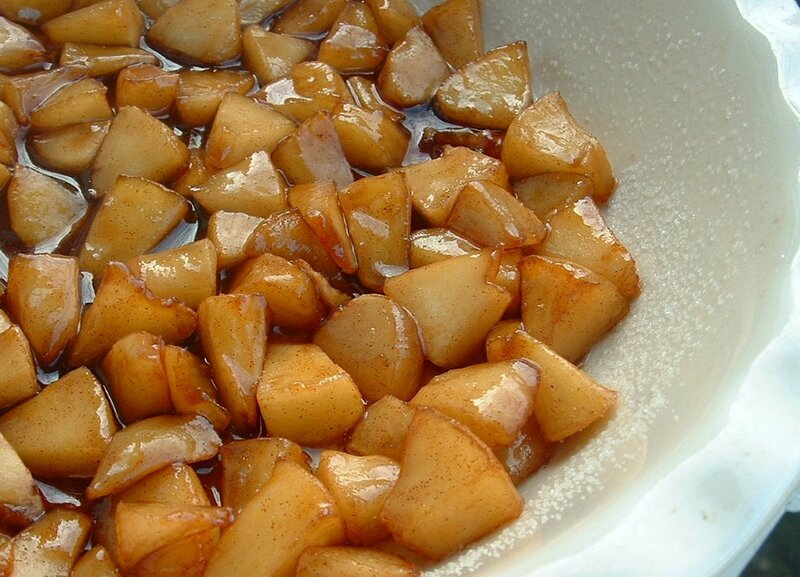 Stir until apples are soft and caramelized, about 10-12 minutes. Distribute apples evenly over the bottom of the prepared pan. Process for 3 minutes. 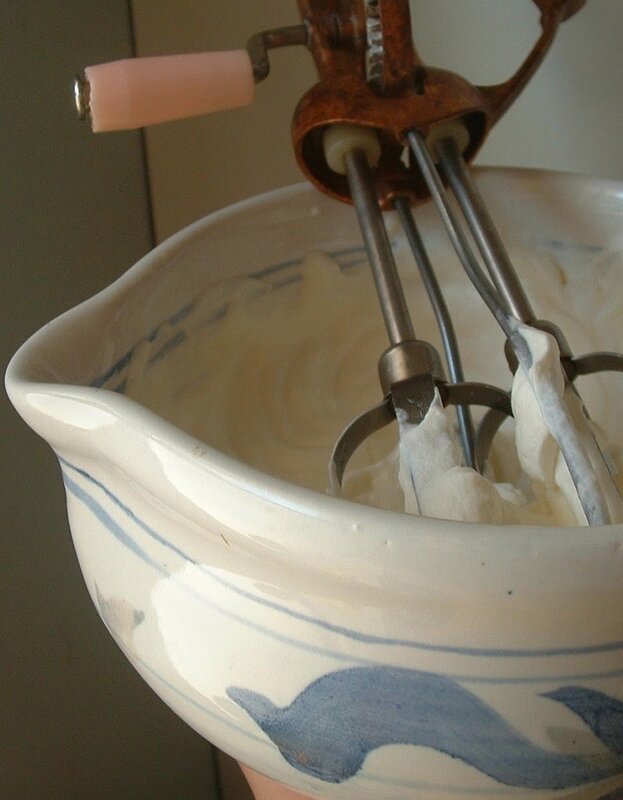 Pour batter over apples. Place in hot oven; reduce oven temperature to 400 degrees. Bake for 20 – 25 minutes, until edges are puffed and golden. Run a knife around the edges of the pan and invert onto a serving platter. Dust with confectioners sugar (if desired) and serve with lightly sweetened whipped cream. This can also be made as individual cakes using a large muffin tin. Reduce baking time to 10 – 15 minutes. 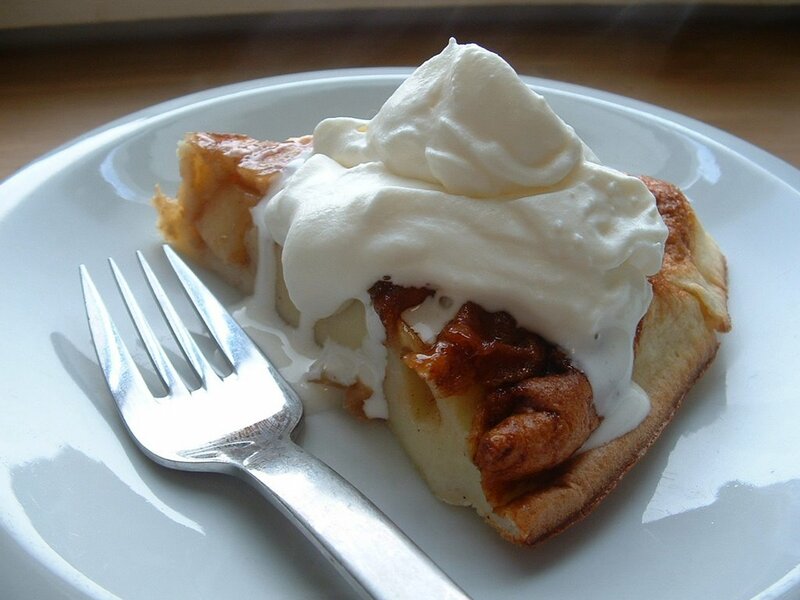 German Apple Pancake is wonderful anytime, but is special enough for Christmas morning. Yum! Does that ever look good. Pancakes are an anytime of day favorite in my family. Here too – we love pancakes for dinner! Picking another apple bushel this weekend. I have this on the must make menu for either dinner or brunch Sunday. Thank you for sharing it with us. You’re welcome, Tammie, I hope everyone enjoys it! I’m thinking of making a batch of your apple wine this weekend.